PJSC Nizhnekamskneftekhim, one of the largest petrochemical producers in Eastern Europe and a part of TAIF Group of Companies, have signed a contract for license and engineering services for a new methanol unit with a capacity of 500,000 tonnes per year with Haldor Topsoe. The signing ceremony took place in the Cabinet of Ministers of the Republic of Tatarstan in Kazan on 14 January 2019. Azat Bikmurzin, director general of PJSC Nizhnekamskneftekhim (TAIF Group of Companies), and Bjerne S. Clausen, CEO and president of Haldor Topsoe, signed the contracts. A TAIF Group delegation led by Albert Shigabutdinov, the director general of TAIF Company, took part in the signing ceremony. 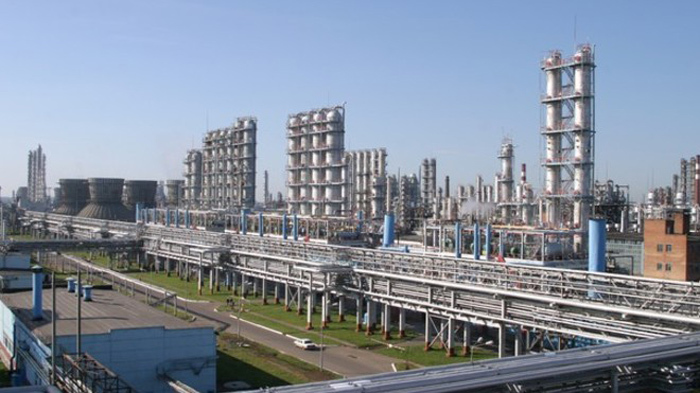 Nizhnekamskneftekhim mainly uses methanol (methyl alcohol) to produce formaldehyde as a feedstock for the company’s isoprene production. The new methanol unit will make the isoprene facilities more efficient and reduce production costs. The company’s portfolio includes more than 120 products, which are exported to 50 countries of Europe, America, and Southeast Asia. Exports constitute about 50% of its total output volume. Haldor Topsoe is the world leader in high-performance catalysts and proprietary technologies for the chemical and refining industries. Topsoe is headquartered in Denmark and serves customers across the globe. In 2017, Haldor Topsoe’s revenue was approximately USD760 million.